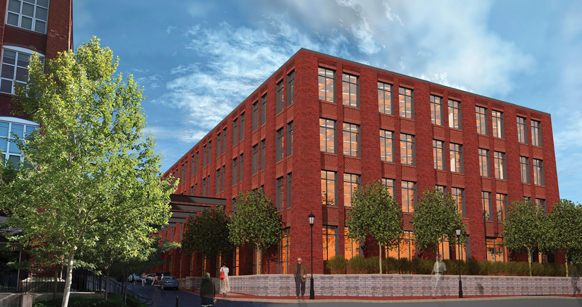 Even as the first wave of Nationwide Insurance employees begins to move into the hub building for the company’s campus at Grandview Yard, planning is underway for an additional office building across Yard Street. Nationwide’s multi-year effort to bring its Columbus workforce closer together took a big step this week. Nationwide Realty Investors Ltd. kicked off leasing for its Buggyworks office project by signing a high-profile Columbus brand in Cameron Mitchell Restaurants LLC.